The Dill Pickle began in January 2004 when 40 Logan Square residents gathered at an art gallery to share their vision of opening a food co-op that would sell healthy and sustainable groceries choices in the Logan Square community. At that time, Logan Square and adjacent areas offered very little in terms of fresh organic produce and healthy grocery products. Residents had to go out of their way to shop at stores located in more affluent neighborhoods; and even these did not meet the burgeoning demand in the community for locally sourced food options as well as the desire to support neighborhood businesses. Spurred on by the desire to improve their community, the original group coalesced into a strong team of dedicated volunteers that worked hard over the next five years to make their dream a reality. In 2005, the co-op incorporated as an Illinois not-for-profit corporation, named after Chicago's Dil Pickle Club--a bohemian club, art space, and forum for free thinkers that operated in the 1920s and 30s. Between 2005 and 2008, rigorous efforts were undertaken to recruit co-op members and raise funds toward an eventual storefront. The first election for a nine-member Board of Directors was held in 2006 and the Co-op’s bylaws were ratified. The first Member Loan Program was launched and the Co-op was able to raise over $50,000 in low interest loans. 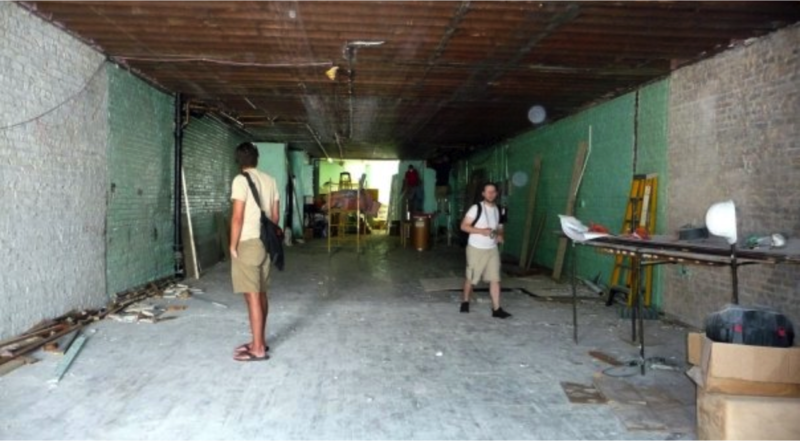 With funding in place, the Dill Pickle signed a lease in September 2008 for a 1,300 sq. ft. location at 3039 West Fullerton. With over 400 members, the store finally opened its doors in December of 2009 and community reaction was overwhelmingly positive. In its first fiscal year of operation, the store grossed $1.3 million in sales, nearly twice the original projected amount for its fifth year of operation. Ownership numbers increased as well, more than doubling in the first year of retail operations. Since 2009, the Dill Pickle has continued to see double-digit sales growth and now has over 1700 owners (as of January 2016).